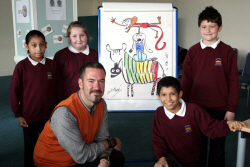 Artwork from St Martin's Garden Primary School, Bath produced during workshops with Argentinean author and illustrator Pablo Bernasconi in September 2009. 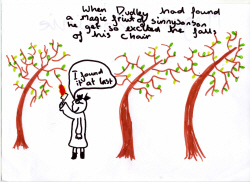 The children prepared a message tree with written messages for The Wizard Leitmeritz from Pablo's book 'The Wizard, the Ugly and the Book of Shame'. 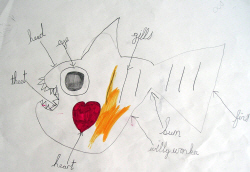 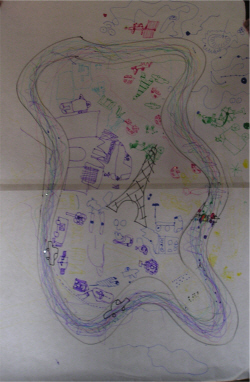 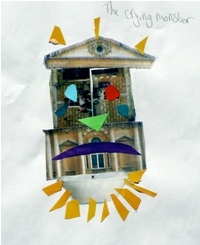 Artwork from St. Martin's Garden Primary School inspired by the workshops with Pablo Bernasconi 2009. 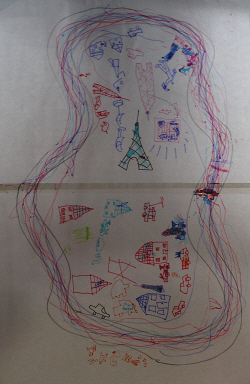 Artwork from Little Ridge Primary School in Hastings and King Offa Primary School in Bexhill, East Sussex produced during workshops with French illustrator Hervé Tullet in September and October 2009. 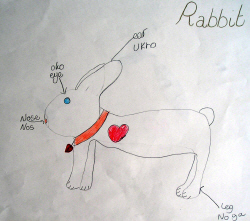 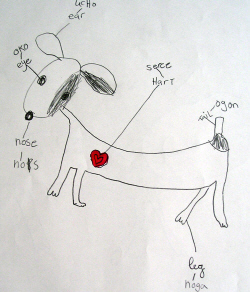 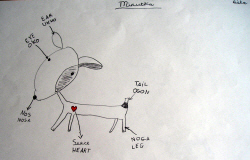 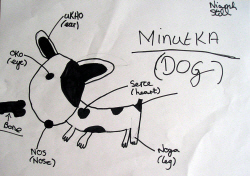 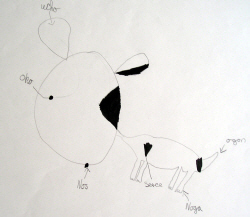 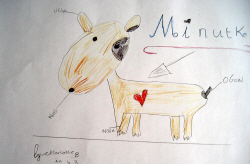 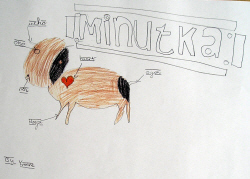 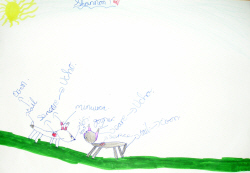 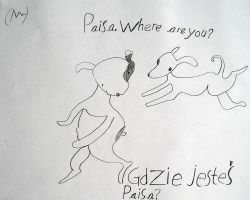 Artwork from St Philomena's RC Primary School, Orpington, Kent produced during workshops with Polish author and illustrator Anna Mycek Wodecki around the theme of her book 'Minutka the Bilingual Dog' in July 2009. 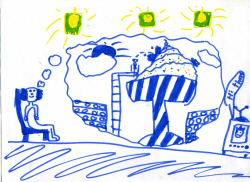 Artwork from St Eanswythes Primary School, Folkestone, Kent produced during workshops with Swedish author Anders Brundin following the theme of his book 'Dudley the Daydreamer' in May 2009. 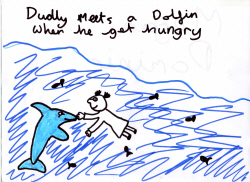 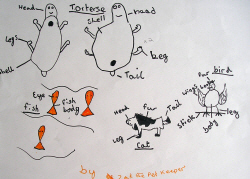 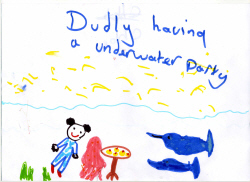 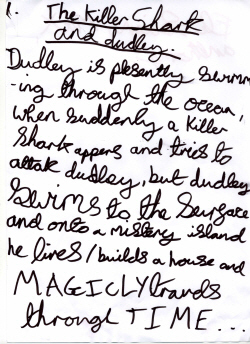 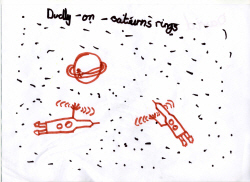 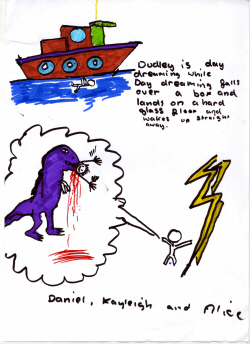 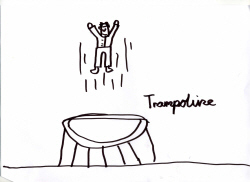 Year 5 - the children worked in groups and came up with ideas for 'Dudley' and then drew pictures to tell the story. 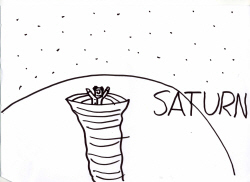 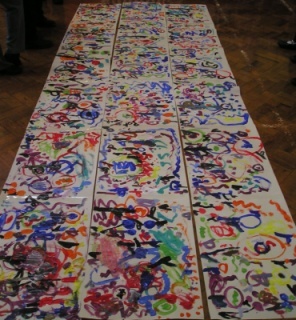 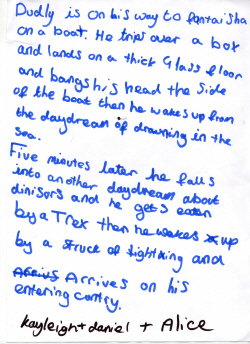 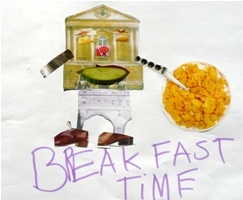 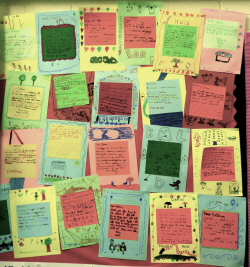 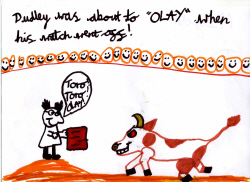 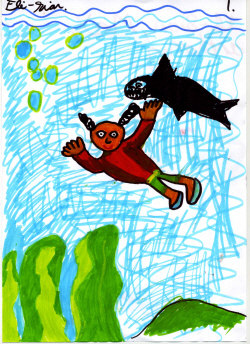 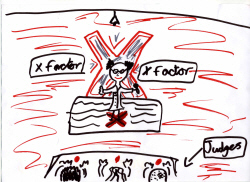 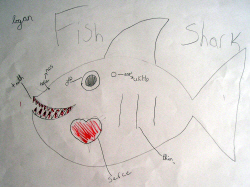 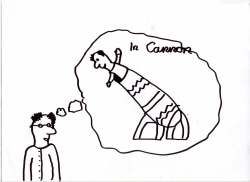 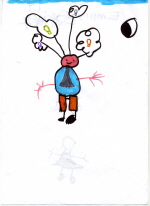 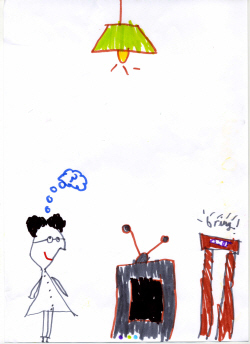 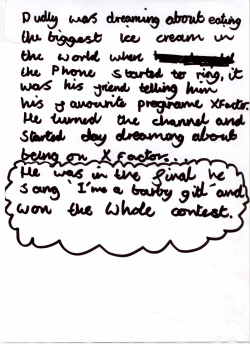 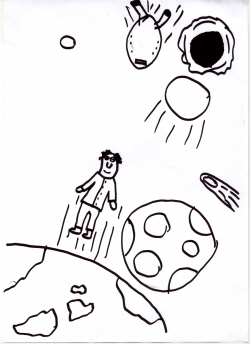 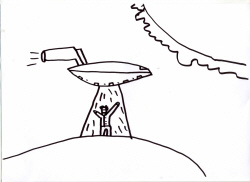 Artwork created by Lluís Farré during workshops with children from Victoria Junior School, Feltham, Middlesex and at the local Waterstones shop in Tunbridge Wells, Kent in April 2009. 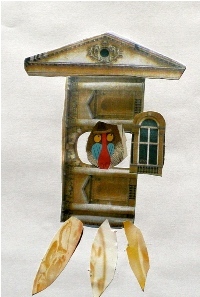 The images below are images of the WingedChariot Press 'Picturing Europe' Exhibition at Folkestone Library, Kent in 2009.